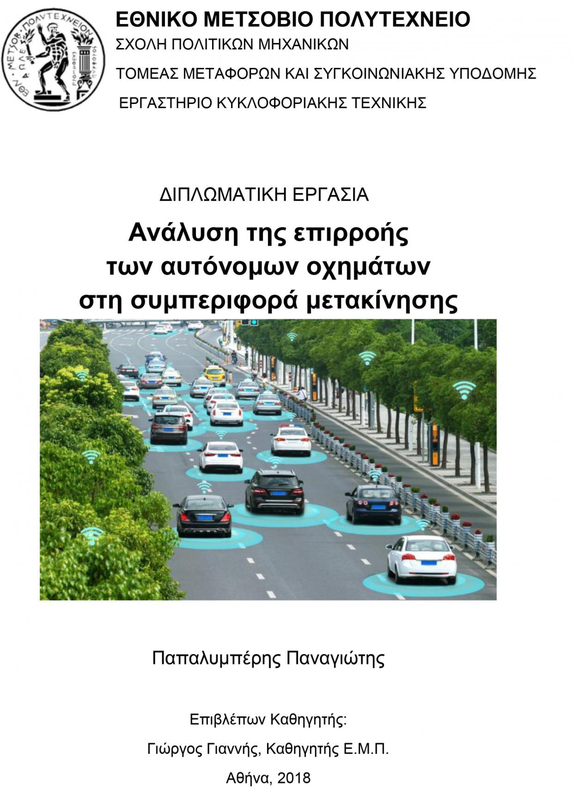 Panagiotis Papalymperis, “Analysis of the impact of autonomous vehicles to travel behaviour”, Diploma Thesis, NTUA, School of Civil Engineering, Athens, March 2018. Autonomous vehicles have already been part of our lives aiming to change the way we are thinking about transport. In addition, although car sharing has started being used in some countries, the attitude of sharing autonomous vehicles for everyday mobility purposes is still not sufficiently explored. 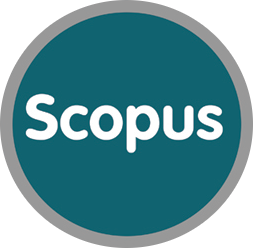 The objective of the present research is to analyse the effect of autonomous vehicles on the mobility behaviour as well as to identify the main characteristics that affect this behaviour. For this purpose, data collected from 235 travelers who participated in a stated-preference survey with a questionnaire were analyzed. Through the multinomilal and binary regression models were examined the impact of cost, time and safety on the choise of an autonomous vehicle or of a shared-use autonomous vehicle.. Based on the results, respondents expressed a positive attitude towards autonomous vehicles as a whole however they were slightly concerned about sharing with others an autonomous vehicle. Focusing on this mode of transport they prefer to be alone in an autonomous vehicle and not sharing it with unknown people. Furthermore, time is the parameter with the highest effect on the choice of the mode of transport.